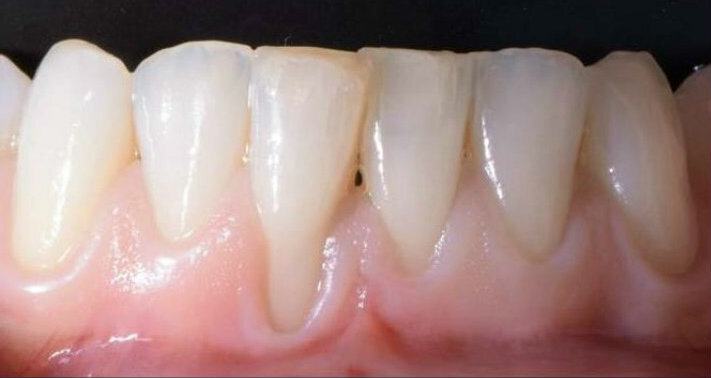 Exposed tooth roots are usually caused by gingival recession caused by periodontal disease.Some examples of effective receding gums treatment are shown in the photos. The video below shows how the pinhole surgical technique has now been developed to offer a minimally invasive solution to this problem and is affected through the insertion of a needle into the gum to make a small hole. This enables the gum to be stretched and pulled to cover the tooth, using specialist instruments. The Pinhole Surgical Technique is now available through our in-house periodontist. Dr. Evdokia Chasioti. 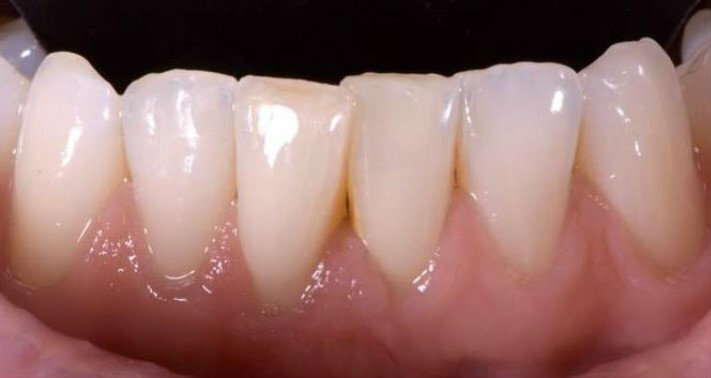 Patients can see Evie for a consultation to assess how many teeth have gingival recession, assess the suitability of the pinhole technique and to ensure they are a suitable candidate for the procedure. This is crucial to confirm that there are no gum disease present, and to examine your bite (as this affects the procedure). Measurements of the gum, and X-rays will also be taken during this assessment and following this assessment, Dr. Chasioti will discuss her findings and provide an estimate for the procedure. You can also send in a selfie of the areas of recession and both upper and lower teeth and we can send you an estimate of the cost.